SUITABLE FOR THE WASHER-DISINFECTOR FROM SWEDEN, LIKE GETINGE. 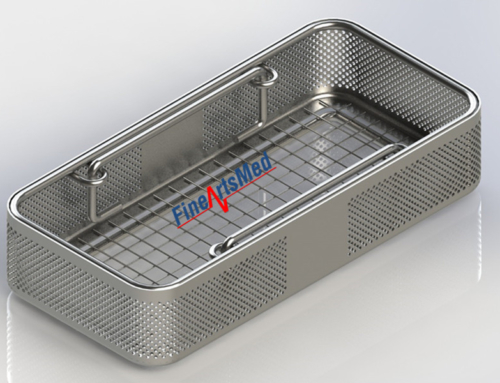 We also built this style full-wire/ stackable instrument trays in term of DIN size, kindly refer to here. 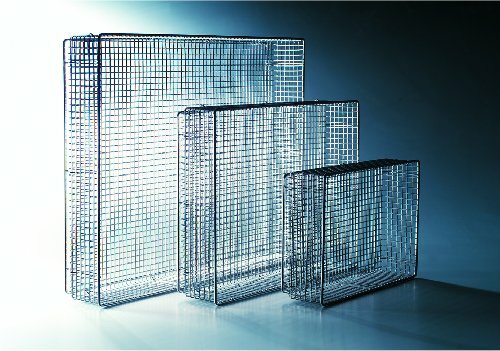 The range of instrument trays consists of 3 sizes, all adapted to fit inside modular wire baskets of the SPRI or ISO standards. 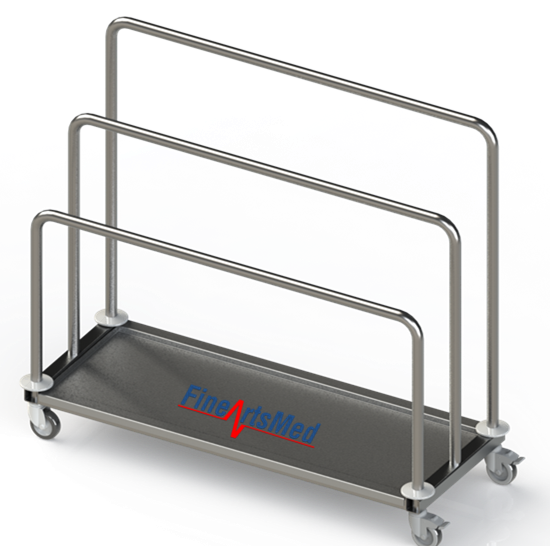 This design with modules allows an easy working and full coverage of the instrument set-up of surgical procedures: Additional specialized instrument trays can be combined with a basic instrument tray set-up, thus covering the full requirement of instruments used by each surgery. This also reduces basic instrument requirements and gives more flexible usage. The modular design not only contributes to the utilization of washer-disinfectors and sterilizers but also by working with the other equipment in the reprocessing flow. The wire net design allows full inspection and sorting of the instruments contained, contributing to a more efficient reprocessing workflow. It also assure full water coverage of the instruments when in the washer-disinfector, as water can easily penetrate the wire net on the sides of the tray as well. 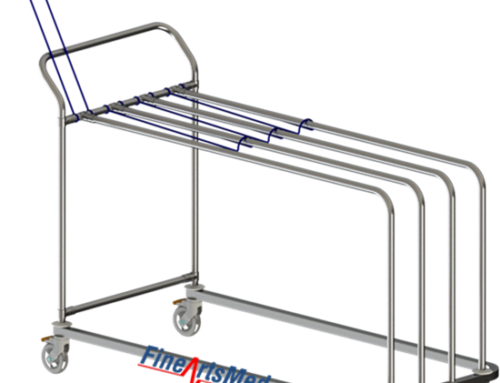 With this design, the utilization of the wash rack is optimal, as trays can be loaded close together, side by side. 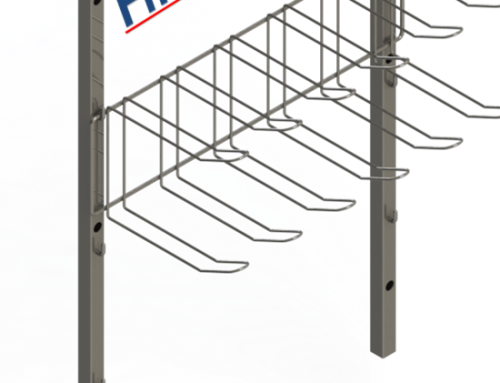 The wire design promotes easy drying, as water does not remain on horizontal surfaces. 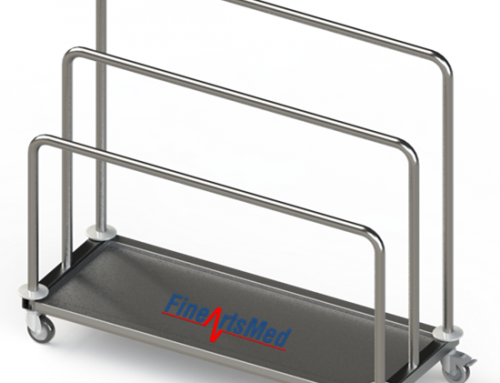 The electrolyte-polished surface adds a second advantage, as water runs off even easier, thus making the tray self-drying after disinfection with hot water (min. +85°C). 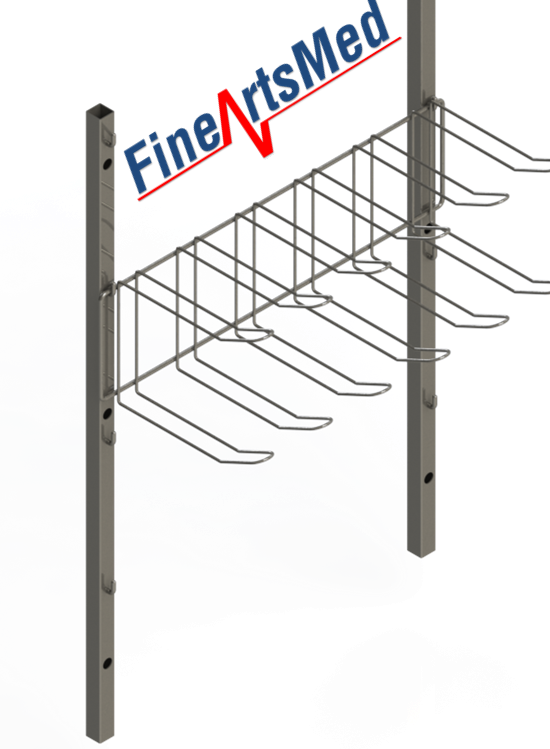 Circulating air can easily reach every part of the tray and the instruments contained, as sides and bottom are designed as a wire net. 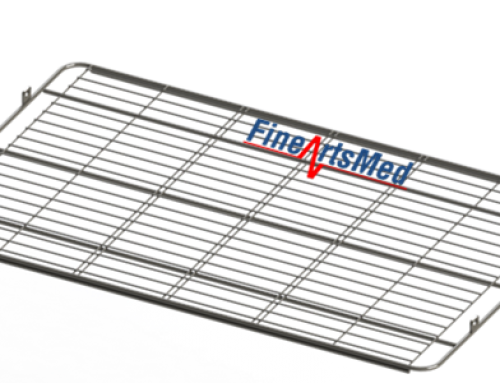 This range of trays is jig-welded, giving exact dimensions and stability even in case of careless handling. 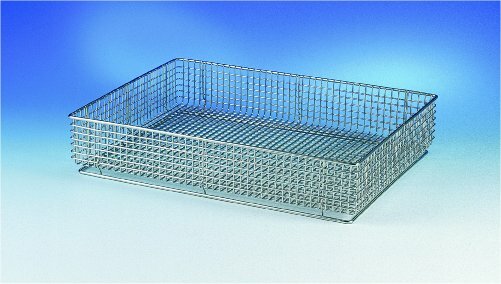 The tray is designed as a stainless steel wire net, with a maximum square opening of 6.5 mm. The wire diameter is 1.5 mm. 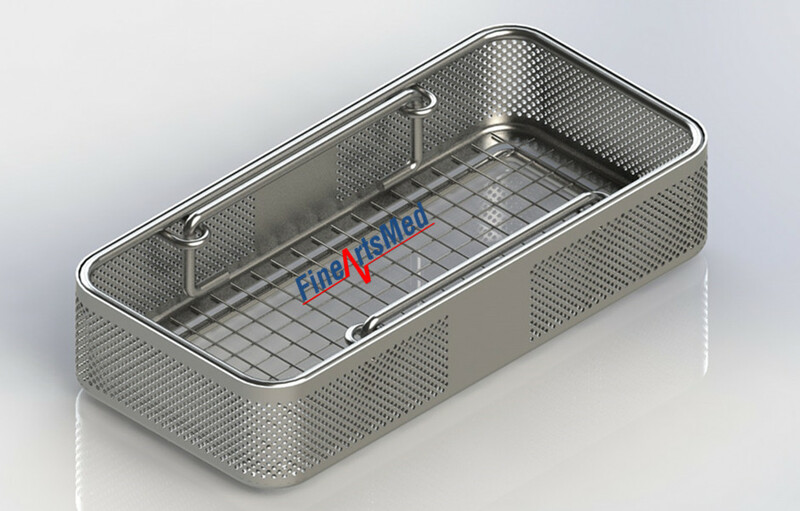 This design gives maximum usage for best cleaning results and at the same time prevents instruments from penetrating the sides of the tray. All cross-points in the network and vertical wires to top and bottom frames are point-welded. All free wire ends are soft-polished to prevent staff injury. The bottom wire construction includes a rigid, 3 mm diameter, stainless steel wire frame to give airing space between goods and work surface and to allow use on roller, belt and chain conveyors. Electrolyte-polished for soft and clean surfaces. 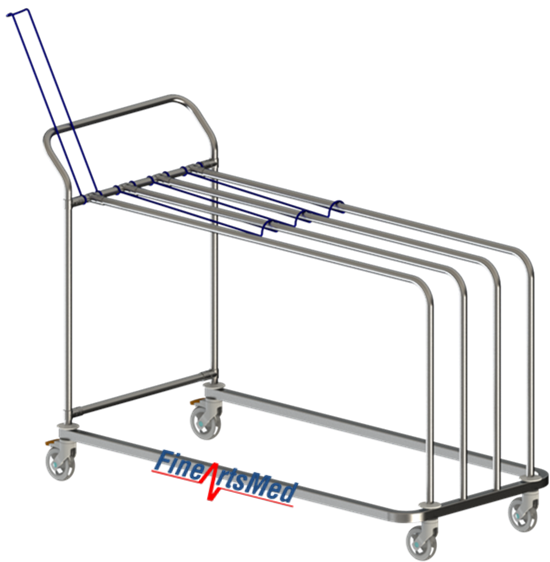 The tray design includes a wire frame at the base that is separated by spacers from the wire net construction itself, making the tray easy to stack and thereby saving space at workplaces. The bottom frame also allows automated transports on various designs of conveyors as it is easy to transfer. 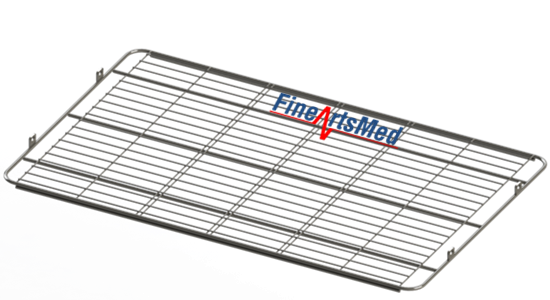 Ventilation of the tray and the instruments it contains is promoted with this design, thereby reducing the condensate that arises when a tray is placed on a solid shelf after sterilization.